An article on data visualization for nonprofits recently appeared in the newsletter of the Marlboro Graduate School’s Center for New Leadership. The guest story, written by Bob Lawson, founder of Sustainable Digital, presents several useful ways for nonprofits to present data in formats that can visually tell a story. And the best part is that the tools are available at no cost to nonprofit organizations. 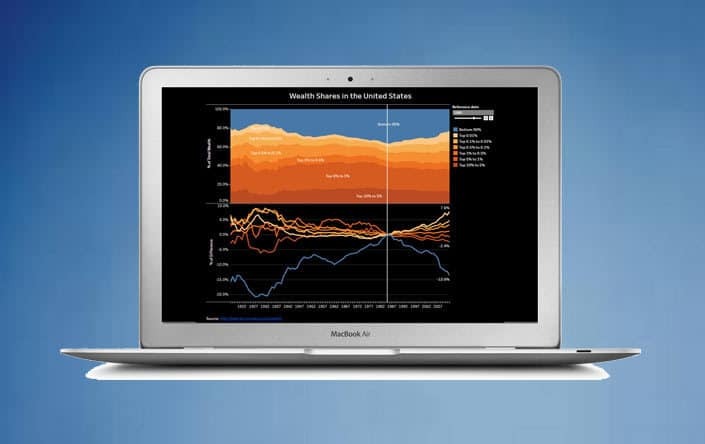 The article looks at the recently improved tools found in Microsoft Excel, Google’s MyMap system, and advanced data analysis tools from Tableau.